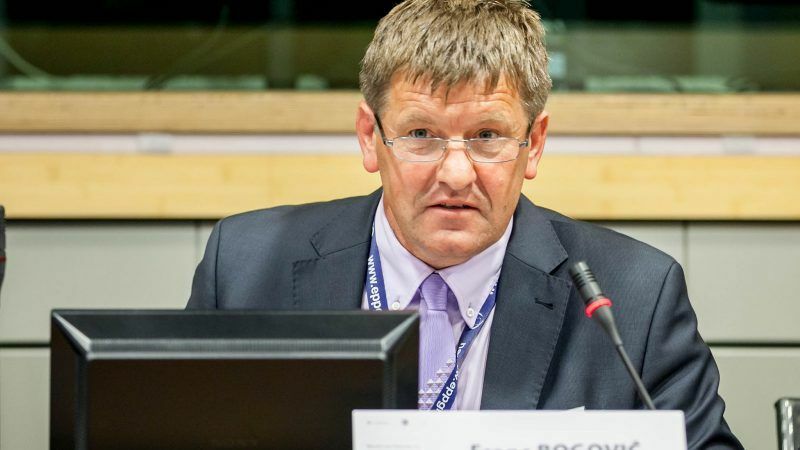 Smart villages intend to use the full potential of digital technologies to unlock job opportunities in a bid to counter rural poverty and depopulation, MEP Franc Bogovič told EURACTIV ahead of an event to promote his initiative. Together with MEP Tibor Szanyi (S&D), Bogovič (EPP) started the Smart Villages for Europe movement with the aim to reverse the current depopulation and brain drain from rural to urban areas across Europe. With the support of the two largest groups in the European Parliament, the two secured a budget for their project in the EU’s 2018 budget line. Bogovič (EPP) spoke to EURACTIV’s Claire Stam in a telephone interview. “We already know that less and less money is being made with basic agriculture and we have to bring more added-value in rural areas,” Bogovič said. The Aim of the Smart Villages movement is to revitalise rural communities and make them more attractive and sustainable by using the full potential of digital and telecommunication technologies, he explained. Bogovič hosted the European Action for Smart Villages, which took place at lake Bled in Slovenia on Friday (13 April), together with Violeta Bulc, the European Commissioner for Transport. The conference was attended by Agriculture Commissioner Phil Hogan, Maria Gabriel, Commissioner for Digital Economy and Society and Regional Policy Commissioner Corina Cretu. MEP Tibor Szanyi and Pekka Pesonen, the Secretary-General of Copa Cogeca, were also present. “EU rural areas offer great business opportunities and they can become even more attractive if we can attract investors and enable farmers and other local actors to use their potential», Bogovič said, citing biomass, sustainable food production, tourism and culture as examples of new business opportunities that can be unlocked by the deployment of digital technologies in rural areas. Bogovič recalled his experience as a mayor of a small rural town in Slovenia and as the minister of agriculture and environment in Slovenia. “Some 84% of Slovenian farms are small or medium-sized farmers. Their number has been dropping rapidly, with a nearly 14% decrease in recent years, which accounted for a decrease in jobs by close to 20%,” he said. “But we know that small and medium-sized enterprises generate more jobs on average than large multinational producers. That’s the case in Slovenia but also elsewhere in Europe,” Bogovič added. In this context, digitisation is key to revitalise rural areas and make them more attractive. This is why overcoming the so-called digital divide between urban and rural areas is crucial. “We speak about ‘smart cities’, but we don’t speak enough about ‘smart villages’,” Bogovič explained, adding that policymakers, farmer organisations and other stakeholders acknowledge the ‘digital divide’ between rural and urban areas. Of the 300 million EU citizens living in rural areas, only 25% are covered by fast or ultra-fast broadband, compared to around 70% coverage in urban areas. Smart Villages is a relatively new concept within the realm of EU policymaking. It refers to rural areas and communities which build on their existing strengths and assets as well as on developing new opportunities thanks to digital technologies, the European Commission wrote in a note. “Digital technologies and innovations may support quality of life, a higher standard of living, public services for citizens, better use of resources, less impact on the environment, and new opportunities for rural value chains in terms of products and improved processes,” the note read. “The concept of Smart Villages does not propose a one-size-fits-all solution. It is territorially sensitive, based on the needs and potentials of the respective territory and strategy-led, supported by new or existing territorial strategies,” it added.